Happiness is the meaning and purpose of life, the whole aim and the end of human existence. and create the change you want to see in your life and in the world. INCLUDING "INTERNATIONAL BOOK AWARDS WINNER." Ronald A. Heifetz. Harvard Kennedy School. 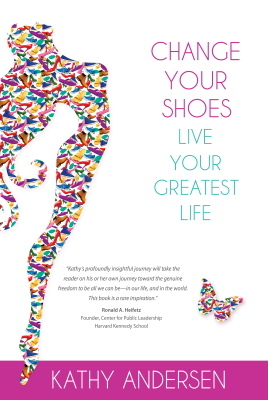 This book is a journey to “change your shoes”—literally and figuratively. You hold the power to make the changes you desire in your life, and to leap onto paths that lead you to your greatest life. My hope is that this book is a wonderful journey for you, and that you are inspired to journey to all you desire. Along the way, perhaps you will even invite friends and family to join you! "Kathy Andersen is an inspiration for every girl and woman who wants to achieve her dreams." Sheryl Sandberg. Facebook COO, and LeanIn.org Founder. 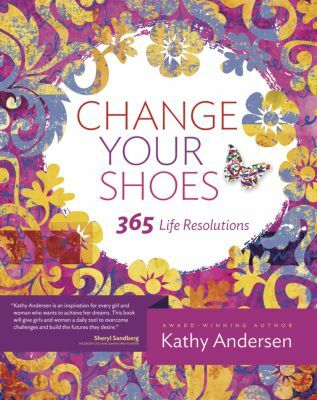 "Kathy's book is an invaluable tool to help you do one of the most important things you can do for yourself—commit to doing one thing each day that will get you closer to the life you want." “To succeed today, it is perhaps essential to have a mentor... The Premier Experts® in this book will help you along your journey. They have been there and know the road.... 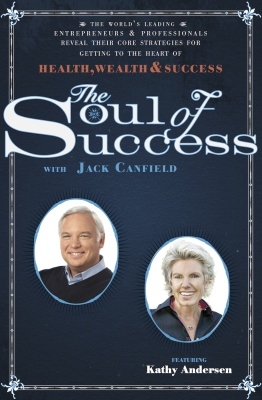 They will illuminate your path to The Soul of Success..."
Co-creator of the #1 New York Times Bestselling Chicken Soup For The Soul® Series, Coauthor of The Success Principles, and Coauthor, The Soul of Success. Start your day by reflecting on one of Kathy's inspirational quotes, or keep them with you and pull one out at random to shift you to a space of inspiration and clarity before taking your next step. SOON AVAILABLE FOR PURCHASE ON LINE.